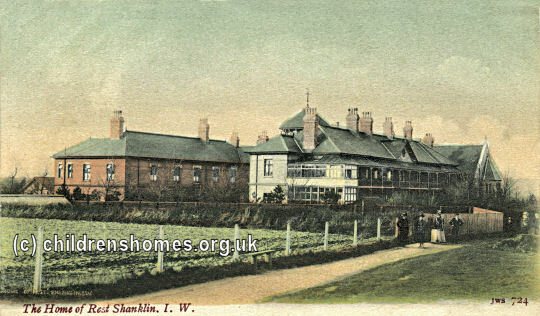 A Home of Rest was erected by the Girls' Friendly Society in 1892-93 on Sandown Road, Shanklin. 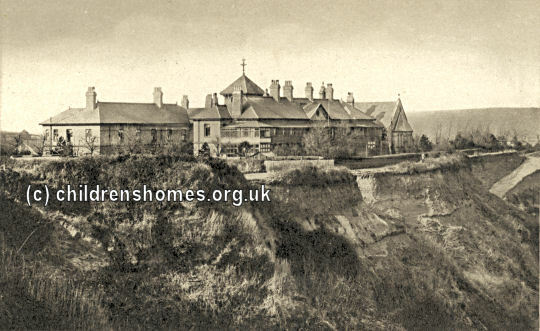 It was built on a cliff-top site with a commanding view of the sea and an approach to the beach. Construction of the building was financed by a gift by Mrs Mary Nunn Harvey. The Home was officially opened on May 20th, 1893, by the Duke and Duchess of Connaught. The location of the home is shown on the 1898 map below. 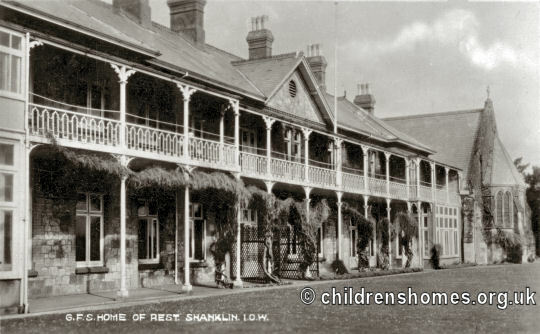 GFS Home of Rest site, Shanklin, c.1898. 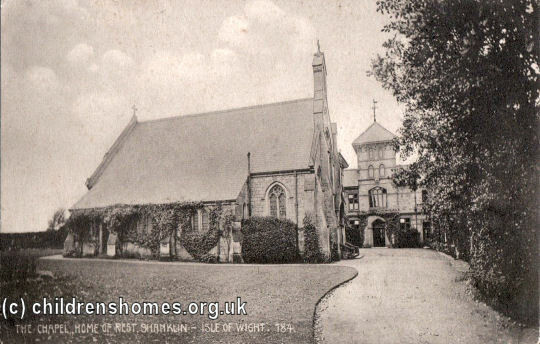 The home, also known as Winchester house, was designed by Lewis Colenutt, architect of a number of other buildings in Shanklin. The main entrance was at the north side where a chapel was also located. As well as stairs, a lift was provided up to the first floor of the Home where there were several drawing rooms. Central heating was installed throughout the building. As well as being used as a convalescent home for GFS members, one wing of the establishment was subsequently used to accommodate visiting 'gentlewomen'. In 1930, the weekly accommodation charges were as follows: Section I — £1 15s. to £2 12s. 6d; Section II — cubicles £1 5s., GFS members 2s. less; Dormitories, 15s. 6d, with letter; 18s. without (GFS members 2s. 6d. less). Subscribers were allowed to send one visitor for each £1 1s. subscribed. The usual stay for convalescents was between one and six weeks. In the 1960s, the property was taken over by the YMCA for use as a hostel. It now also houses a local nursery facility. The Women's Library, London School of Economics, 10 Portugal Street, London, WC2A 2HD.